Pyongyang - North Korea’s military said on Monday it will take “physical response” to a move by the United States and South Korea to deploy the advanced THAAD missile defense system to the Korean peninsula to counter the threat from the North. The United States and South Korea said on Friday that the Terminal High Altitude Area Defense (THAAD) anti-missile system will be used as defense against North Korea’s growing nuclear and ballistic missile capabilities. The announcement was the latest move by the allies against the North which conducted its fourth nuclear test this year and launched a long-range rocket, resulting in tough new U.N. sanctions and a series of bilateral sanctions against it. “There will be physical response measures from us as soon as the location and time that the invasionary tool for U.S. world supremacy, THAAD, will be brought into South Korea,” the North’s military said in a statement. “It is the unwavering will of our army to deal a ruthless retaliatory strike and turn (the South) into a sea of fire and a pile of ashes the moment we have an order to carry it out,” the statement carried by the official KCNA news agency said. The North frequently threatens to attack the South and U.S. interests in Asia and the Pacific. The move to deploy the THAAD system, which drew a swift and sharp protest from China, came a day after the U.S. Treasury Department blacklisted leader North Korean leader Kim Jong Un for human rights abuses. 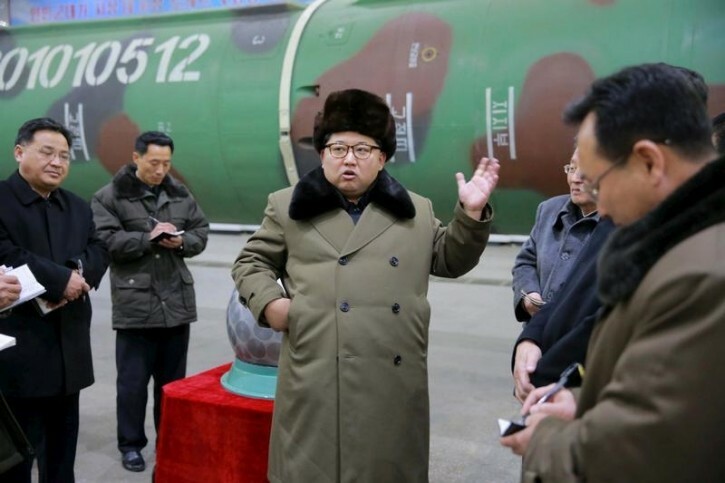 North Korea called this “a declaration of war” and vowed a tough response. A South Korean Defence Ministry official said selection of a site for THAAD could come “within weeks,” and the allies were working to have it operational by the end of 2017. It will be deployed to U.S. Forces Korea “to protect alliance military forces,” the South and the United States said on Friday. The United States maintains 28,500 troops in South Korea, a legacy of the 1950-53 Korean war. It will be focused solely on North Korean nuclear and missile threats and would not be directed toward any third-party nations, the two countries said last week. The T in THAAD stands for "Theater", not "Terminal". No, they changed it long after I retired.